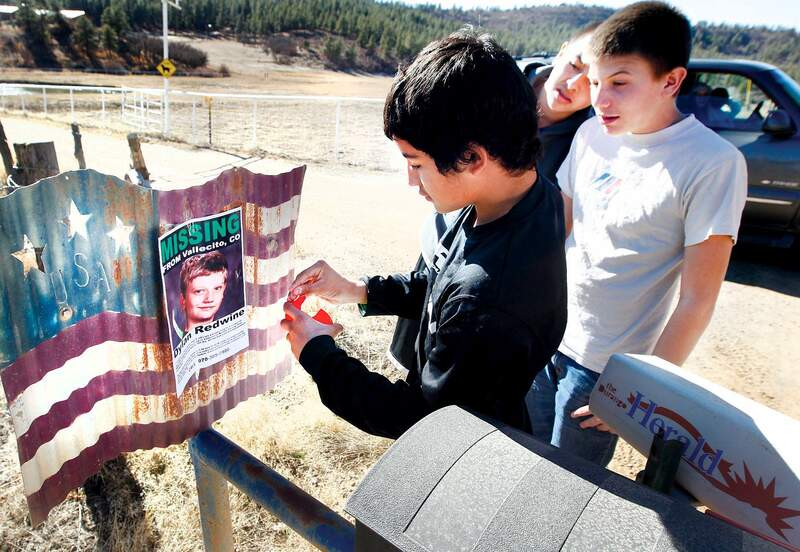 Ryan Nava, 13, tapes a flier of Dylan Redwine, who has been missing since Monday, on a sign on County Road 502 in Bayfield. Ryan, Fernando Stubbs, 14, center, and Lesley Herring, 15, all of whom are friends with Dylan, went door to door Saturday asking residents if theyve seen Dylan. 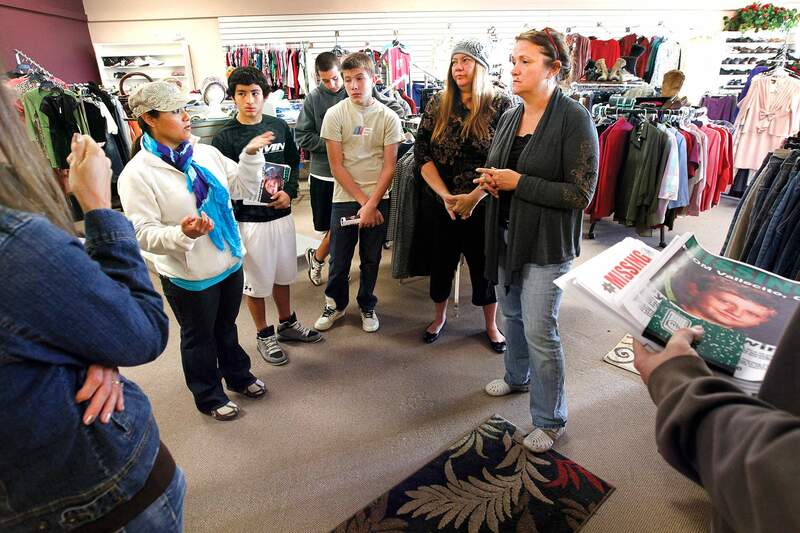 Ramona Nava, left, talks with community search organizer, Denise Hess, right, Saturday at a store in Bayfield before the group left to search for missing 13-year-old Dylan Redwine. Also part of the group were, from left, Ryan Nava, 13, Fernando Stubbs, 14, Lesley Herring, 15, and Liz Herring. Nearly 200 community volunteers and personnel from law enforcement and other agencies went door to door and scoured the forest in the Vallecito and Bayfield areas Saturday searching for missing 13-year-old Dylan Redwine, only to come up empty on this sixth day of looking for him. The boy was first reported missing Monday, after arriving at his fathers home in Vallecito from his mothers home in Colorado Springs. ReservoirDylan was in Vallecito for a court-ordered Thanksgiving visit with his father, Mark Redwine, Bender said. Mark Redwine and Dylans mother, Elaine Redwine, divorced in 2007. Ryan Nava, 13, a friend of Dylans said in a phone interview Saturday that Dylan was originally going to Bayfield to visit his friends Sunday night but then changed that to meet them at 6:30 a.m. Monday. Ryan said he and his friends expected Dylans father to drive him into town from Vallecito, but Dylan never arrived. Mark Redwine showed up later asking where Dylan was but the three friends didnt know. Ryan said he texted and called Dylans phone all day but didnt get replies. Ryan and friends Fernando Stubbs and Wesley Herring were part of a group of residents Saturday going door-to-door in Bayfield on County Road 502, handing out fliers with information about Dylan. We asked (residents) about any sheds or barns where he could take shelter, Fernando said. The boys said Dylan wasnt shy about hitching rides. Honestly, I think he was walking into Bayfield and got taken away, he said. I dont think hes one to run away, he said. Dylan is described as 5 feet tall, 105 pounds, blond hair, blue eyes and with a fair complexion, Bender said in the release. The teenager was last seen wearing a blue-and-white Duke Blue Devils baseball cap, a black Nike T-shirt, black basketball shorts and a pair of black Jordan tennis shoes. Dylan also had a black backpack, Bender said. 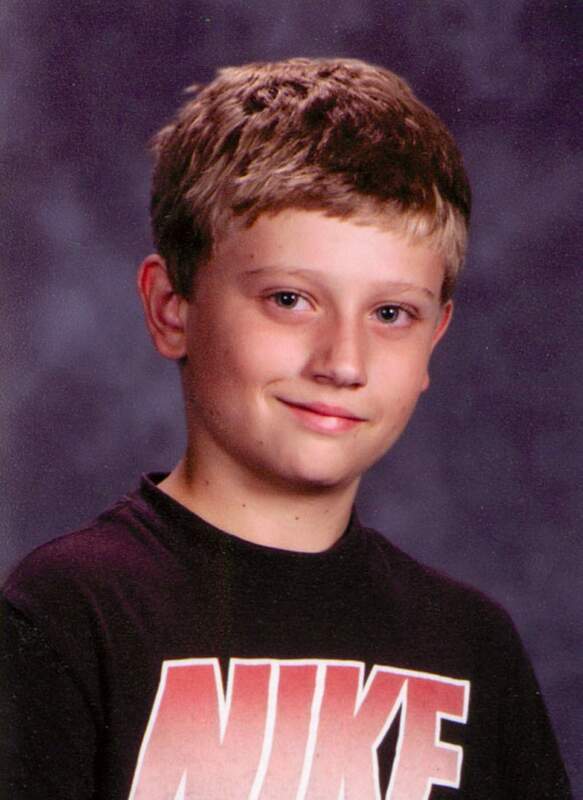 Anyone with information about Dylans whereabouts should call La Plata County Sheriffs Office investigators Dan Patterson at 382-7015 or Tom Cowing at 382-7045. Anyone with information also may call the hotline at the National Center for Missing and Exploited Children, at (800) THE LOST (800-843-5678).